The Camp Fire is California’s most deadly and destructive ever. 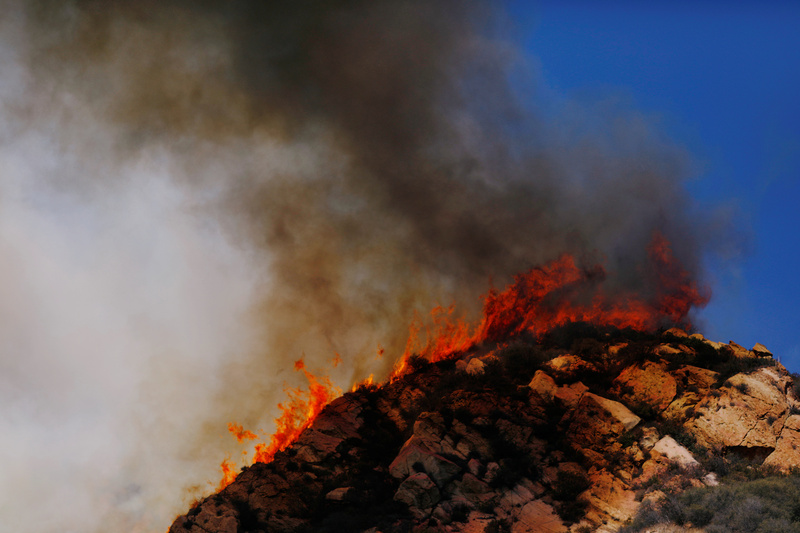 Such conflagrations, worsened by climate change, cost the Golden State some 6.5 pct of GDP last year. A new financing tool can make forests more resilient – and protect everything from water to air to livelihoods. Flames are seen as firefighters battle the Woolsey Fire as it continues to burn in Malibu, California, U.S., November 11, 2018. A forest fire in Butte County, northern California has killed 42 people, with more than 200 others unaccounted for as of Nov. 13. That makes the so-called Camp Fire the state’s most deadly wildfire, exceeding the 33 deaths in the Griffith Park Fire in 1933. It is also the most destructive, having consumed more than 7,100 structures. On Nov. 1 the Yuba Water Agency in northern California said it had secured funding for the first ever Forest Resiliency Bond, an idea developed by Blue Forest Conservation, the World Resources Institute and Encourage Capital among others. Yuba raised $4.6 million and the bond pays a 4 percent interest rate to investors including Calvert Impact Capital, CSAA Insurance, the Rockefeller Foundation and the Gordon and Betty Moore Foundation.